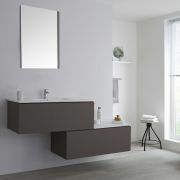 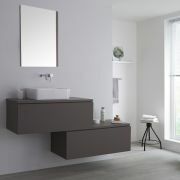 Create a bold and functional new look in your bathroom with the wall-mounted Milano Oxley 1800mm stepped vanity unit and matching basins. 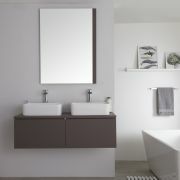 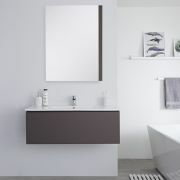 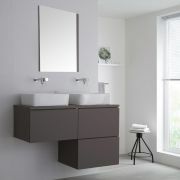 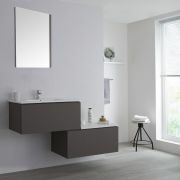 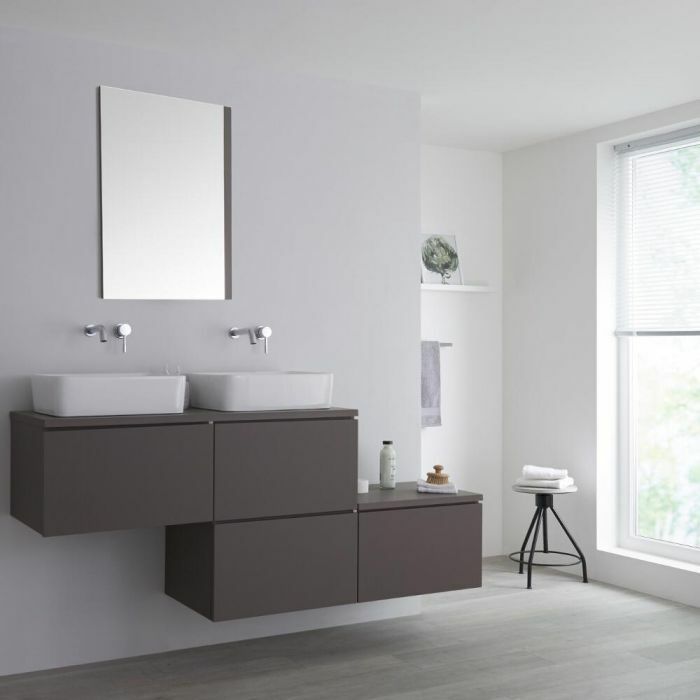 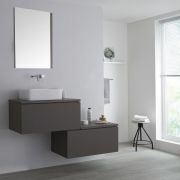 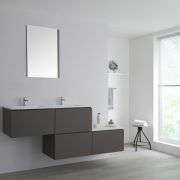 Manufactured from strong moisture resistant engineered wood to ensure long-lasting durability, the Oxley vanity unit is given a contemporary look thanks to its striking matt grey finish. 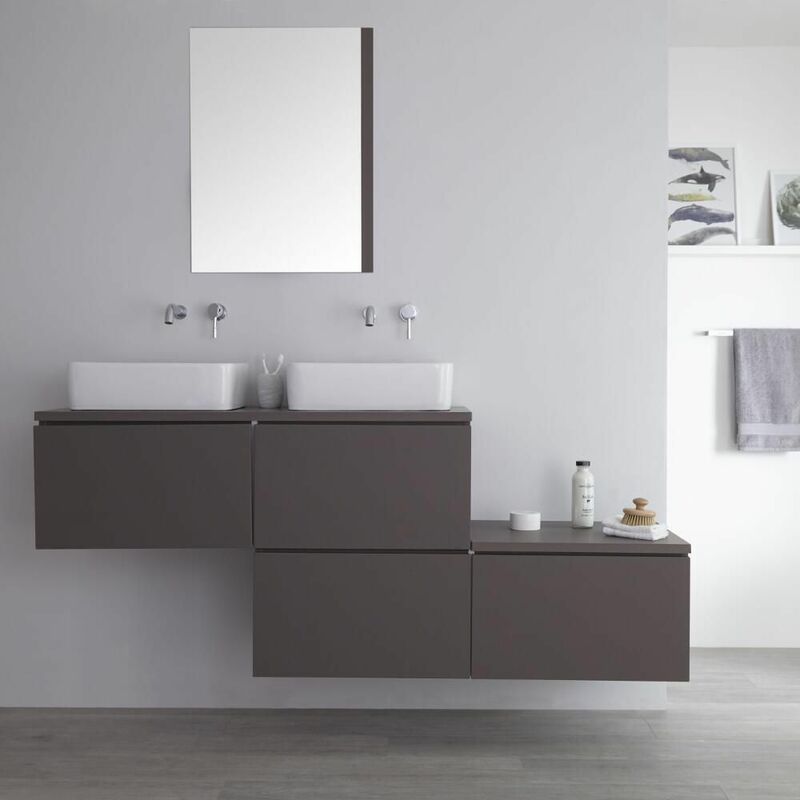 Storage is plentiful thanks to four spacious push to open soft close drawers to enable you to comfortably keep your toiletries and beauty products out of sight to maintain a minimalist look. 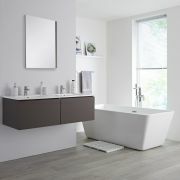 Countertop space is provided to keep your essentials close to hand as well as including matching rectangular countertop basins for a ‘his-and-hers’ look. 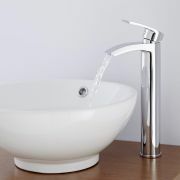 The basins are made from white glaze coated high quality ceramic for easy cleaning. 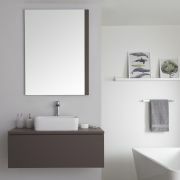 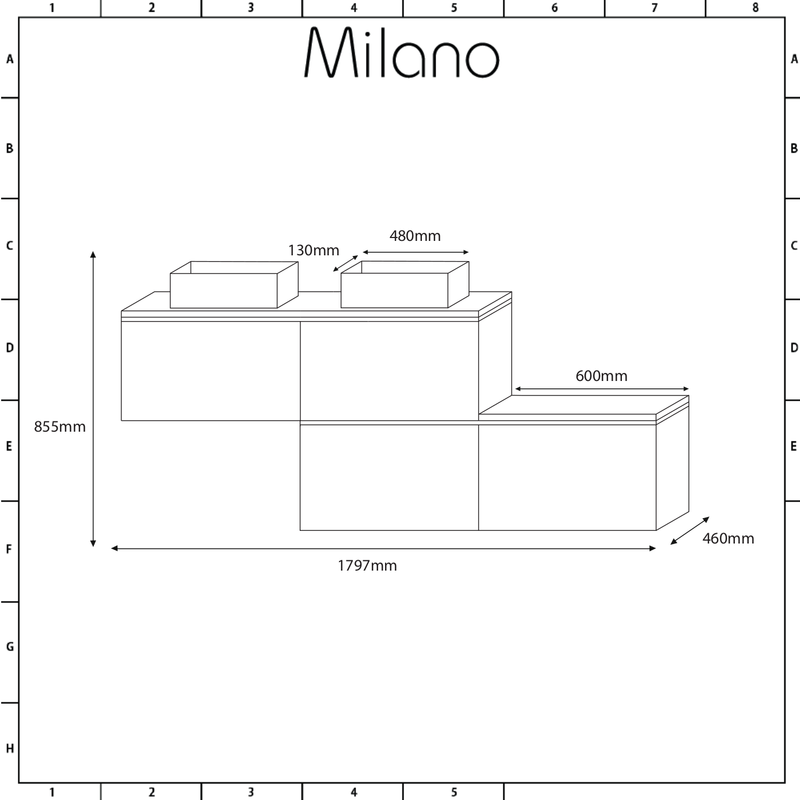 In the absence of tap-holes, the basins are suitable for use with wall-mounted or high-rise taps of your choice to create the effect you want.